Resolved an issue that was causing player characters to turn invisible when selecting “Goatee” options from the tailor. The beginning mission of each story arc is no longer immediately available after completing the tutorial. Players will still be able to use the skip function to access any mission they want to. Resolved an issue that was preventing access to inventory slots on various ships. Resolved an issue that was causing items to ignore overflow bag limits when dry-docking a ship. Added an explanatory line of dialog to Admiral Quinn that tells about how to use the mission journal and will open it for the player if needed. Memorial Plaque updated to include William Morgan. Resolved an issue with the discounted version of the standard Vanguard pack appearing in the C-Store after it has been purchased. Resolved an issue that caused the "Requisition: Dyson Joint Command Vanity Shield (Tier 6)" project to have an incorrect background. Resolved an issue that caused some Photon Torpedoes to have incorrect visuals under Torpedo Spread. Resolved an issue that prevented lower MK versions of the Solanae Space Set from being upgraded. There is currently an issue preventing the purchase of the T1 Oberth. There is currently an issue where the 30 Key Pack is not appearing in the C-Store after purchasing the Legacy of Romulus Legacy Pack. Jetzt ist der perfekte Zeitpunkt gekommen, euch das Schiff eurer Träume zu holen! In diesem brandneuen Update haben zwei Stars aus Discovery ihren großen Auftritt: Rehka Sharma und Jason Issacs als Commander Ellen Landry und Captain Gabriel Lorca. 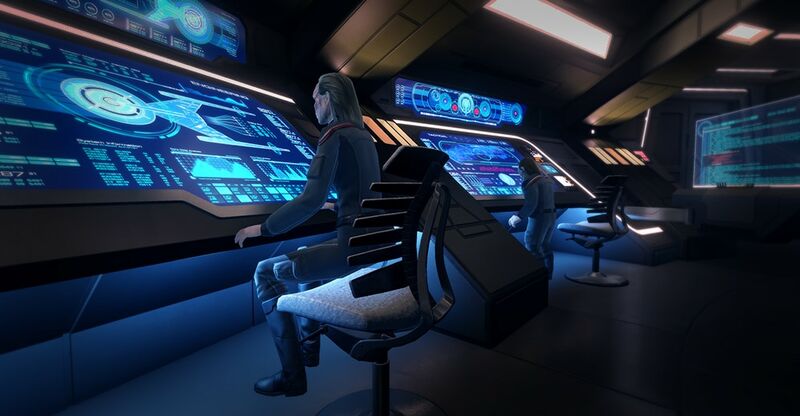 Schaut euch die aktuellen Änderungen in Star Trek Online in unseren neuesten Patch Notes für den PC an.